There is information at the end of the DVD about where you may purchase the music. 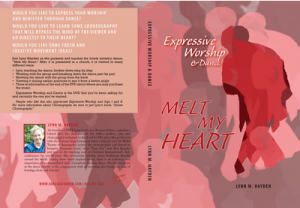 Expressive Worship and Dance is the DVD that you’ve been asking for and certainly the one you’ve wanted. You’ll absolutely love this one! Order yours today!! People who like this also appreciate Expressive Worship and Sign I and II DVD’s. For more information about Choreography, be sure to get Lynn’s book, “Divine Choreography”. Hi Pastor Lynn I just love the anointing that our Father has placed upon you and your ministry. I wanted to buy some dvd and books on signing during praise dance and flagging. My question to you is what is the best to buy and the easiest to teach. any help in this area would be great. Hi Carmen. Actually, while I sell Pastor Lynn’s DVDs, this is actually not her site. But I agree. I, too, appreciate the anointing the Father has placed on Pastor Lynn’s ministry. I highly recommend the Expressive Worship and Sign DVD (http://worshipdanceministries.com/expressive-worship-sign-dvd/). 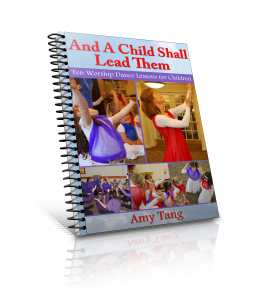 It’s a wealth of resource on signing during praise dance. After that, I would recommend the Perfume of Fire DVD, which teaches an expressive worship vocabulary with flags. It brings together the sign and flagging beautifully. (http://worshipdanceministries.com/perfume-of-fire-dvd/) Every blessing to you as you worship and minister through dance.